When building your wireless network, you can eliminate many potential problems by conducting a wireless site survey. To install your wireless network with the best possible capacity and coverage you need to have a grasp on the radio frequency on site and the best way to obtain this, is through a wireless site survey. 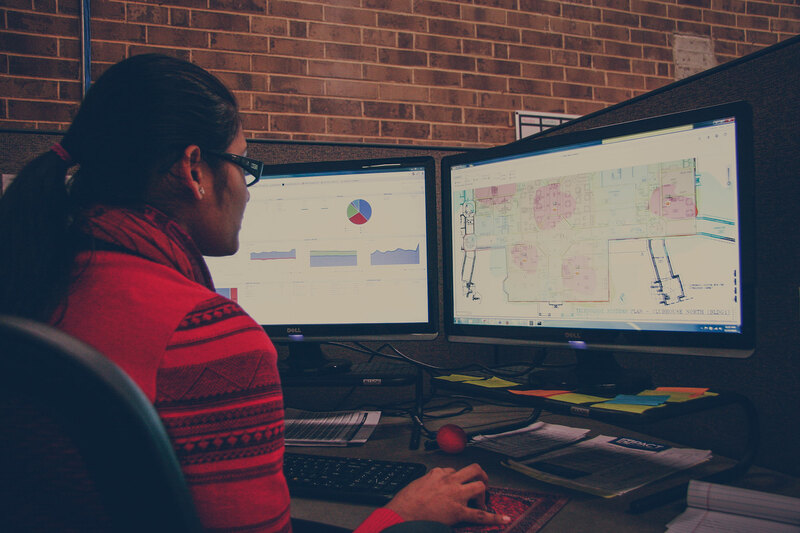 The site survey can uncover areas with channel interference and locate dead zones in coverage, thus helping you avoid issues ahead of time for your end-users. This type of analysis will determine the viability of constructing a wireless network for you business, hospital or school and will provide answers to questions like where to place your access points, and run your cables. Performing a wireless site survey is the backbone for figuring out how much equipment you need, the best placement for that equipment, and best installation techniques to install that equipment based on your unique environment. To get the most out of your wireless network design you have to understand the fundamentals of a proper site survey. WLAN access points can be placed almost anywhere, but there is a science behind where to place them to avoid interference and overlapping. Too many is not only a waste of money, but actually disastrous for your network. So while it may seem like adding access points will result in better coverage, this is not necessarily the case. If you share your location with other companies or occupy a building with several offices, each containing their own network and equipment, the survey allows you to see where your APs should go to avoid any interference, thus hindering your network and theirs. Suggested Reading: "5 Simple Reasons You're Having Terrible Wi-Fi Performance"
Channel interference is problematic for your wireless network and comes from many contributing factors. Whether its the microwave in your kitchen, the amount of bodies in your building, or even AP placement, there are many factors that can affect your wifi performance on site. The best way to avoid channel interference is to have a wireless site survey completed to grasp your current situation, thus having the ability to design the best wireless network possible for optimum network capacity as well as coverage. There are a few different types of site surveys and it's important to understand what the differences are so you can get the most out of your design. A passive site survey listens to current APs in and outside of your physical environment or building. This type of test listens for things like signal strength, interference, and coverage. An active site survey physically connects to your access points using a survey wifi adapter. With an active site survey you can gain the most detailed information and are commonly used for new designs and deployments. A predictive site survey is performed without ever going on-site, but rather using software to establish the appropriate design. A floor plan drawing (with building materials) is necessary for this type of survey and it is often used when the building is not built out entirely or network engineers can't actually be on site. This means that if you're business is in California, network engineers in North Carolina can run a highly accurate analysis of your current or future network at a much lower cost to you. They then can perform an on-site survey later to validate their previous predictive tests. Suggested Reading: "Wireless Network Design Using Predictive Site Surveys - FAQ"
Regardless of which wireless site survey you choose, all of them help provide valuable information to understand the specific environment prior to implementing or optimizing your wireless network. Just as you wouldn’t build a house without a design or blueprints, we recommend the same when building your wireless network. If you have any questions about the different types of site surveys or you would like to discuss scheduling a site survey, please contact us here!